If you are a VIP, CEO, venture capitalist, angel investor, startup founder, Blockchain personality, or any other type of business influencer, Earn will pay you in Bitcoin to answer email messages and complete small tasks from businesses and individuals who are looking to get feedback from people in your field of expertise. 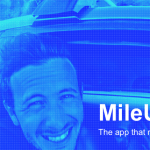 The MileUp App lets you earn free gift cards just for driving your car, as you simply download the free app to automatically start earning points whenever you drive, which you can redeem for gift cards from popular retailers like Amazon, Nike, and Target. 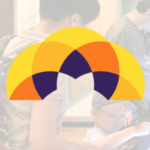 Datacoup is a free service that allows you to sell your personal data anonymously for cash. 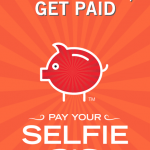 Pay Your Selfie is an easy way to earn extra cash for completing fun tasks that involve taking selfies. 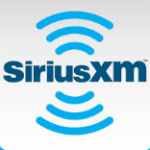 Anyone with an inactive SiriusXM radio can listen for free from May 18-31, 2016. 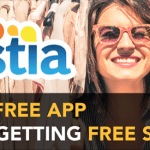 Listia is a free marketplace exchange that lets you get rid of old stuff and get new stuff in return for free, like DVDs, clothing, toys, and much more. 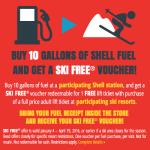 Ski Free Deals and Shell gas stations are offering 1 free lift ticket when you purchase fuel at Shell, valid from January 4th to April 19, 2016.